Childhood pigeon toe is a deformation which is frequently congenital and responds well to conservative treatment. Pigeon toe treatment should begin as early as possible in order to prevent long-term harm, so suitable countermeasures are taken from infancy onwards. Depending on the severity of the misalignment, corrective treatment may be taken in the form of physiotherapy or the use of plaster casts or night splints. 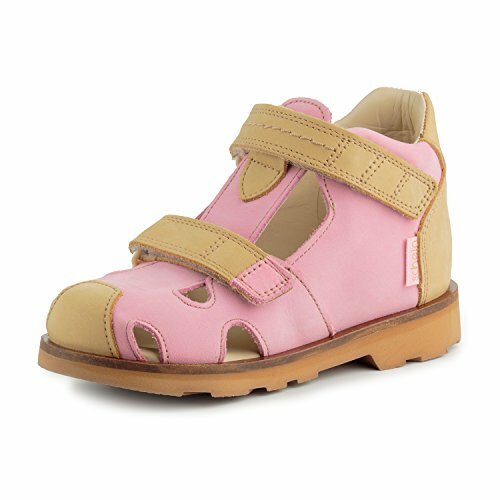 If the misalignment persists until the child starts walking, corrective Antivarus shoes combined with insoles may be used.The indication for Antivarus shoes is the treatment of walking-age children with forefoot adduction such as pigeon toe, serpentine foot or previously treated club foot. Expectations for therapy, comfort and normal shoe appearance are met. The effectiveness of our Antivarus shoes is founded on our proven three-point correction system: The first two correction points, on the inside of the heel and at the level of the Lisfranc joint, Ankle Support the rear foot, thus protecting against torsion in the ankle joint during the necessary forefoot correction process. The third correction point is on the inside of the big toe's metatarsophalangeal joint. This promotes correction of the forefoot and prevents the foot from reverting to the deformed position. To bring about these corrective measures, the Antivarus shoe features a heel cap which extends along the inner side of the shoe. The corrective properties of our Antivarus shoes Ankle Support successful conservative treatment of pigeon toe. Correction comes into effect where there is outward axial deviation of at least 8°. At first, many children find it difficult to adjust to walking in Antivarus shoes. The stiffness of the shoe, which is a must from a therapeutic standpoint, is unaccustomed and makes walking more difficult because the foot is forced into the corrected position. However, experience has shown that children quickly become accustomed to the new feeling.